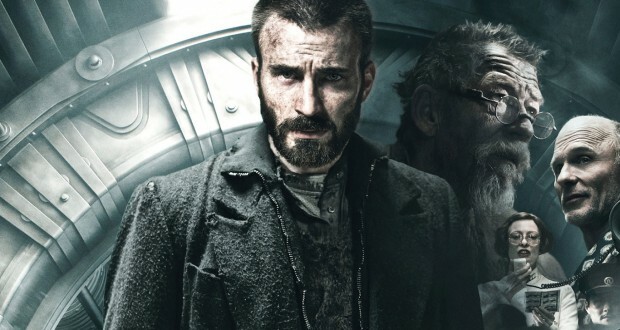 When I first heard about Snowpiercer I was excited. Who wouldn’t be? It’s a post-apocalyptic science fiction film with Captain America (Steve Rogers, wait no, I mean Chris Evans), and is based on a French comic book, Le Transperceneige by Jacques Lob! What’s not to love about that? Oh yeah, and it has some badass fight scenes courtesy of Korean director Joon-ho Bong. I waited. Then I waited some more. I checked the upcoming releases list at my local cinema religiously. But Snowpiercer was nowhere to be found. Harvey ‘Scissorhands’ Weinstein has been at it again. A dispute between Weinstein and Bong led to a rocky path to release for the science fiction film. While Korean, French, Taiwanese, and Japanese audiences were allowed to see the director’s cut of the film, Weinstein insisted on cutting the material for release in English-language territories. It became a typical clash of artist vs suit. And guess who won? After a pitifully small cinematic release in the US, the film was eventually released on VOD (video on demand). Despite the limited marketing and exposure in big cinemas, the film has proven to be a big hit, both critically and commercially. The film has made over $7 million in US VOD sales alone. Meanwhile, in the director’s home nation of South Korea, just under a quarter of the population have seen the film, raking in an impressive $61.5 million. Global warming reaches a point where the world can no longer ignore it. Scientists discover a gas that they believe will cool the earth if shot into the atmosphere in multiple locations across the world. Unfortunately, the gas works too well, freezing the world and killing almost everyone on the planet. The only humans to survive are those aboard a train with a perpetual motion engine. 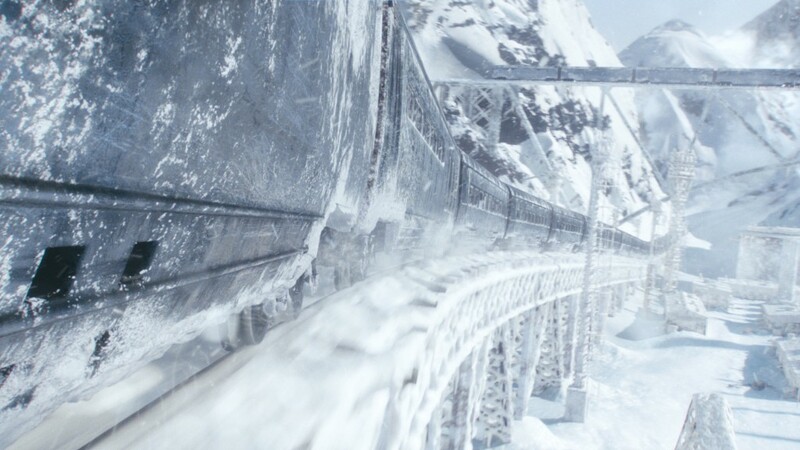 The train, snowpiercer, travels once around the world every year. On board the train, a societal hierarchy has formed from the status of passengers’ original tickets. In the bowels of the train, the economy passengers are crowded, filthy, and hungry. The first class passengers use them for amusement and an armed military force is there to keep the back of the train in line. Tired of not having enough food, clothes, or beds, the rear passengers decide to rebel. The only way they can lead a successful revolt is by taking the engine room. Control the engine and you control the train. Curtis Everett (Chris Evans) leads his comrades in an uprising, freeing imprisoned drug addict and security expert Namgoong Minsu (Song Kang-ho) to help them reach the engine room. The further up the train they travel, the more obstacles they must face and the greater the losses they suffer. 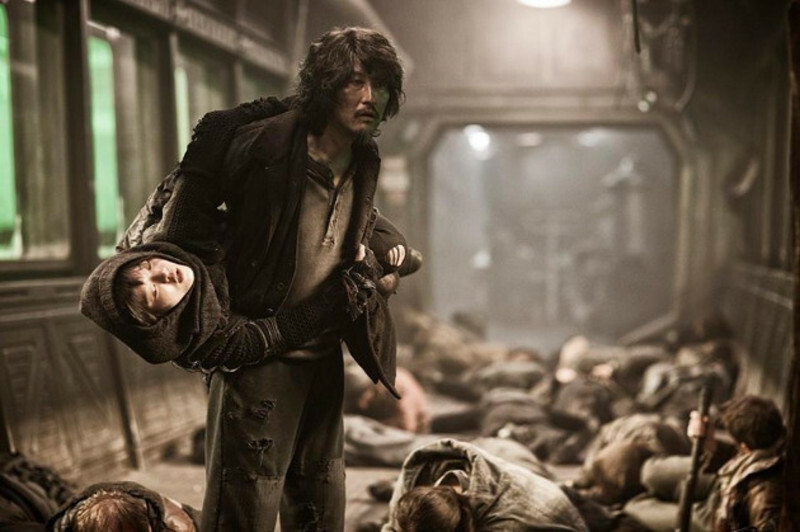 Snowpiercer’s roots in Korean cinema are everywhere. The film is unbelievably bleak, with terrifying and depressing ideas at the core. 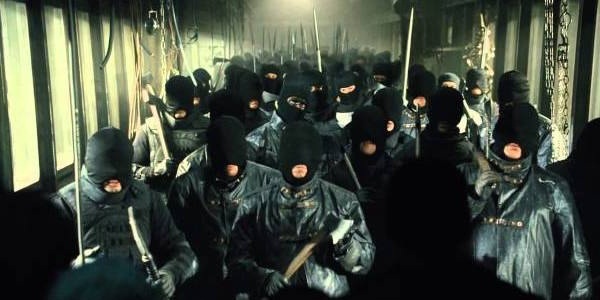 The action sequences in this sci fi epic involve a lot of hand to hand combat, where those participating in the violence use whatever weapons they have to hand (like Old Boy’s hammer). This close combat fighting, as opposed to Western cinema’s preference for chopping down large swathes of enemies with indiscriminate gunfire makes for more visceral, high-impact fight scenes that are refreshingly different from what English-speaking audiences usually see. A word of caution to those of you who don’t like to see too many characters die, this film is basically a George R. R. Martin novel condensed into 126 minutes of grimy, desperate violence. The film is yet another in a series of science fiction films and novels to explore post-apocalyptic conditions following an ecological disaster. 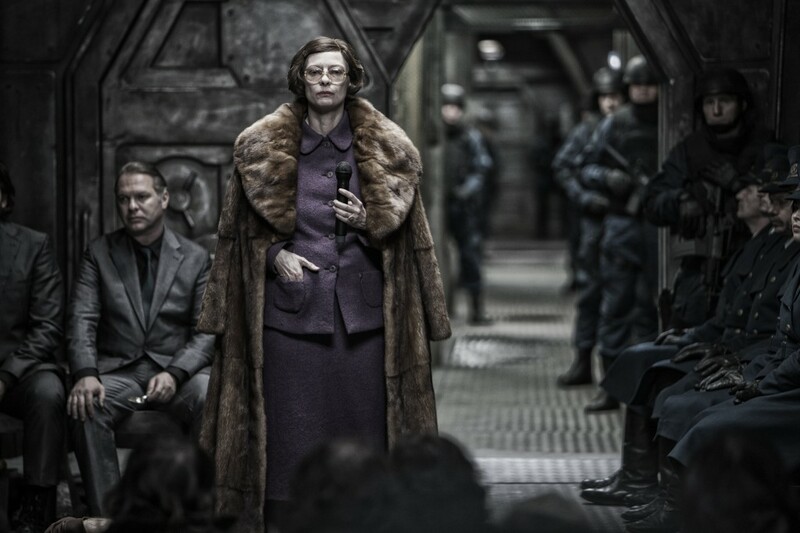 Often these wastelands are dry, arid desserts, but there is something beautiful in the snow world of Snowpiercer. While it is so cold that anyone would freeze to death outside, inside, the heat is always up – an enclosed metal space full of people. The pressure is always on. When fighting occurs on board, it almost always involves fire. Fire saves the tail passengers from darkness, it keeps their enemies at bay. Fire and heat are the answers to the problems outside, but they are just more problems when internal to the train. In the back of the train they have nothing to alleviate the bleakness of their situation, no windows, no drugs. In the front of the train, it’s a different story. Many of them are kept on a regular diet of the drug ‘kronole’, an opiate of the masses used to keep passengers from thinking too hard about their situation. Is one really better than the other? One group is completely closed off to the world, the other is kept in a state of intoxication. It could be argued that neither existence is living. The film uses this construct to have the viewer ask themselves what the most important thing really is – is it fairness and equality or the survival of the human race? Is survival worth it if they aren’t free to really live? And can a question that goes against equality ever be asked by someone at the bottom of the ladder, or only ever come from the big wigs at the top? It is understandable that under extreme conditions, extreme characters are born. 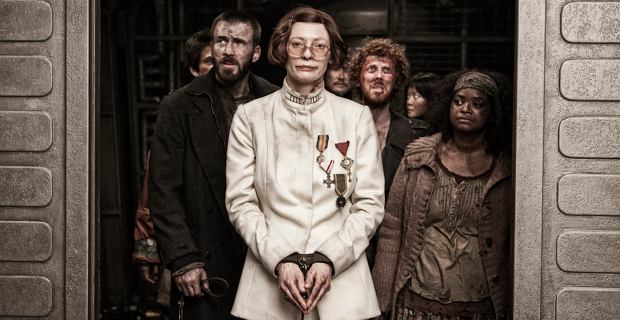 No one does fascinating character acting quite like Tilda Swinton. Her portrayal of Mason, the train master’s liaison to the tail sections, encapsulates the hated excesses of the front sections, a disregard for those less fortunate, and a devotion to order. Like any good minion, she mostly regurgitates doctrine she’s been taught without taking an active interest in it. She is also a mercenary, out to save her own skin above anything else, and who could blame her? Her speeches are inspiring for all the wrong reasons but make for excellent viewing. Viewers will want to be right there next to Curtis leading a rebellion against such scum! 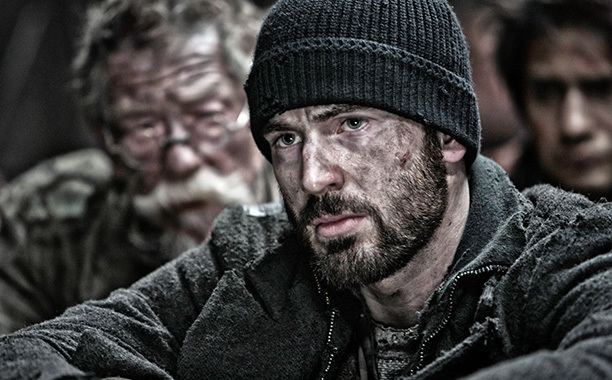 The real surprise of the film is Chris Evans’ performance as the rebel leader, Curtis Everett. We’ve seen him do straight-laced so well it’s hard to believe the same man could pull off someone so dark and tormented. I honestly didn’t realize he had it in him (sorry to have underestimated you, Chris!). Curtis is one of those classic, archetypal tormented antiheroes. He has a dark past – descriptions of which he delivers superbly – and is still not sure whether his actions during the course of the film are right or wrong. But his past transgressions inspire him to do better, even if that means he needs to resort to bad behavior (violence and tactics used by the people from whom he is trying to break free) in order to get there. Evans proves his acting chops with this role. I want to see more interesting and dramatic roles for him in the future. Verdict: Well-crafted sci fi action film with a welcome grimy, lived-in feel to the sets (where so many sci fi films go too shiny). Great fight scenes keep the tension up and provide something a little different from the average Hollywood action film. 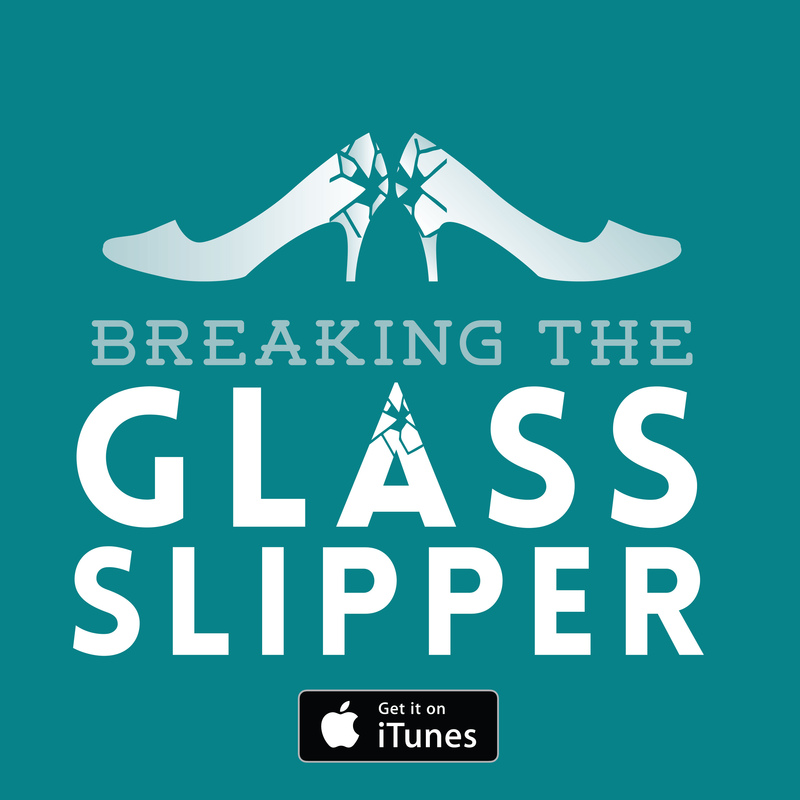 Definitely worth a watch – as long as you don’t mind ‘tragedies’ in the Ancient Greek sense. Yes, I’m aware of #clifi. I agree that it is clifi, but I don’t think that excludes it from also being science fiction. agree! is is sci fi cli fi, sure. hybrid. but at same time i think it is time to stop calling anything that takes place in future as sci fi as default name. let’s start using cli fi as default name. YES NO? for climate themed movies like NOAH or SNOW or even INTERSTELL? sci fi is a has been, cli fi is rising. lets do it right! agree?